This paper utilizes the baseline Real Business Cycle (RBC) model in order to construct a time recursive approximate optimal decision rule as a linear function of the model's state variables and an exogenous surprise shock that hits the economy. The constructed rule is subsequently used in order to examine and compare the dynamics of the capital stock and random total factor productivity (TFP). For this purpose, an open-loop control system is analyzed and compared with the closed-loop control system which results from the application of the time recursive approximate optimal decision rule. A set of optimal control indicators is proposed in order to evaluate the effects resulting from the application of this rule on the behavior of the open-loop control system. The results obtained show a significant reduction in the volatility of the capital stock when the constructed approximate optimal decision rule is applied to the open-loop control system. Business cycle research studies the causes and consequences of the recurrent expansions and contractions in aggregate economic activity observed in many countries since they began to industrialize. Economists have measured and studied these fluctuations for more than a century going as back as Marx and Engels in 1848. In the United States, the National Bureau of Economic Research (NBER), founded in 1920, pioneered business cycle research. The NBER developed and continues to update the business cycle chronology which gives a detailed history of business cycles in the United States and other countries. Arnold (2002) provides an overview of the developments in business cycle theory beginning from Keynes's General Theory published in 1936. Keynesian economics emphasizes the role aggregate demand plays in the determination of aggregate production and the role of government policy in creating additional demand in circumstances of low output and employment due to a lack of aggregate demand. Keynesian economics became an orthodoxy in aggregate economics and remained so until the late 1960's. The breakdown in the performance of statistically estimated large-scale linear macroeconomic models, based around the Keynesian macroeconomic model, and the rational expectations revolution, led by Lucas (1976), brought the government interventionist ideas of Keynesian economics to an abrupt halt. An important blow to these ideas at the time was also delivered by the policy ineffectiveness proposition (Sargent & Wallace, 1976) according to which only unanticipated demand policies affect aggregate economic activity. The early 1980's saw the development of the Real Business Cycle (RBC) theory with the original contributions of Kydland and Prescott (1982) and Long and Plosser (1983). The RBC approach to business cycles argues that real shocks to the economy are the primary source of business cycles. In particular, productivity shocks form the key source responsible for the fluctuations of aggregate economic activity. Hence, most economic booms result from beneficial productivity shocks while most recessions are caused by adverse productivity shocks. The RBC theory views aggregate economic variables as the outcomes of the decisions made by many individual agents acting to maximize their utility subject to production possibilities and resource constraints. As such, the RBC theory has firm microeconomic foundations. 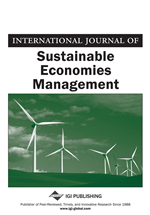 In order to explain the observed fluctuations in various macroeconomic time series, such as output, consumption, investment, inventories and hours worked, among other, the theory considers exogenous productivity shocks and interprets these fluctuations, which are ideally replicated by the model to a large extent, as the optimal outcome of firms' and households' optimizing behavior under rational expectations and perfect markets. Therefore, the theory denies the need for any kind of effort to stabilize the economy. Since its formulation in the early 1980's and until the mid-1990's, the RBC theory was the most active field of research in business cycle theory. Important contributions were made by several authors. Christiano and Eichenbaum (1992), address the issue of the high correlation between productivity (or wages) and hours worked predicted by RBC models as opposed to the actual data. Bencivenga (1992) introduces preference shocks that explain additional volatility in hours worked. Boldrin and Horvath (1995) argue that RBC models overstate the correlation between productivity and wages because they do not take into account implicit contracts between employers and workers. By including implicit contracts in the standard RBC model they are able to demonstrate that real wages become less volatile and almost acyclical. In order to specify a model of real business cycles, the first step is to specify the economic environment by describing the preferences, technology and endowments of the model economy. Under most specifications of preferences and production functions, the resulting equations of the model constitute a set of nonlinear difference equations which cannot be solved analytically. In this case, it is necessary to compute approximate solutions. The standard approach (see e.g. Uhlig, 1995) is to linearize the equations of the model in terms of percentage deviations around the steady state of each one of the model's variables. Hence a set of linear difference equations is obtained which in turn is used to carry out simulations given a productivity shift.